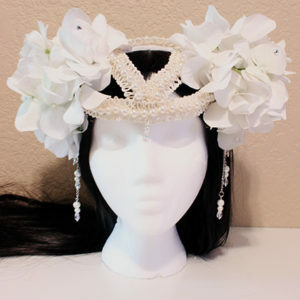 View cart “White Floral Headpiece” has been added to your cart. 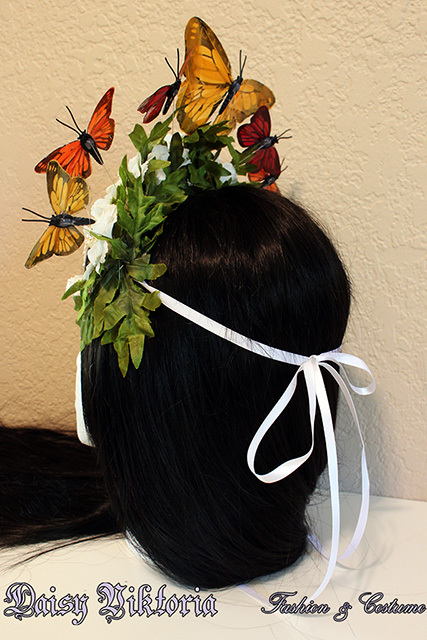 Fluttering butterflies accent this delicate headpiece. The structure is padded in comfortable felt fabric and decorated with trim featuring shimmering beads. 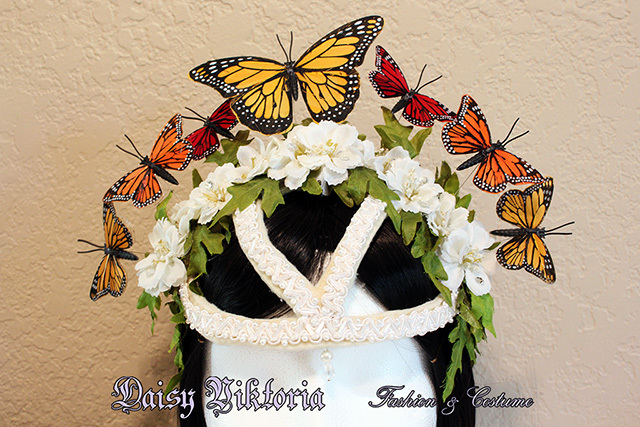 Leaves and flowers form a halo beneath the butterflies. Attached via wire, the butterflies will flutter slightly as the butterfly queen moves about. The wire structure is soft and bendable to fit a variety of head shapes and sizes. The piece attaches with white satin ribbon. 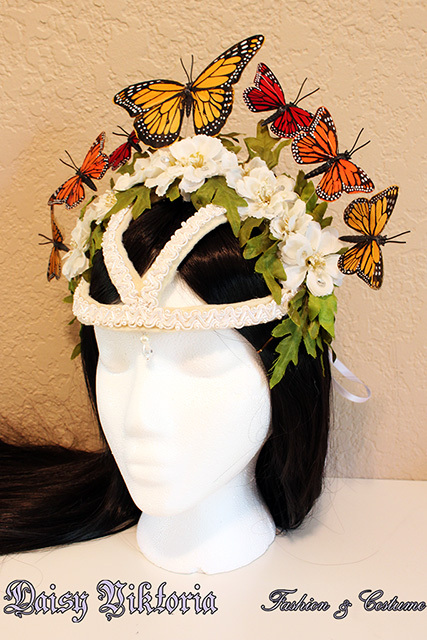 Fluttering butterflies accent this delicate headpiece. 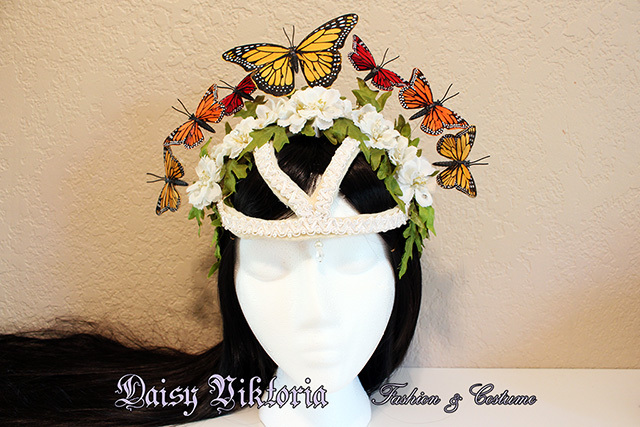 Handmade with love and magic by Daisy Viktoria! 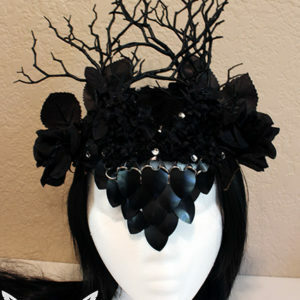 The structure is padded in comfortable felt fabric and decorated with trim featuring shimmering beads. 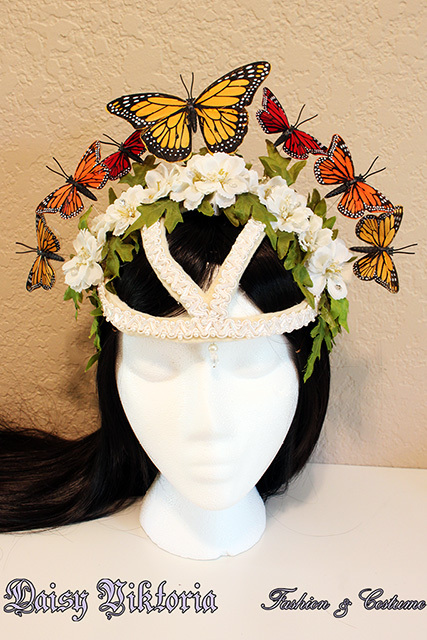 Leaves and flowers form a halo beneath the butterflies. Attached via wire, the butterflies will flutter slightly as the butterfly queen moves about. The wire structure is soft and bendable to fit a variety of head shapes and sizes. 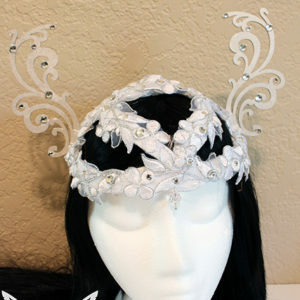 The piece attaches with white satin ribbon.